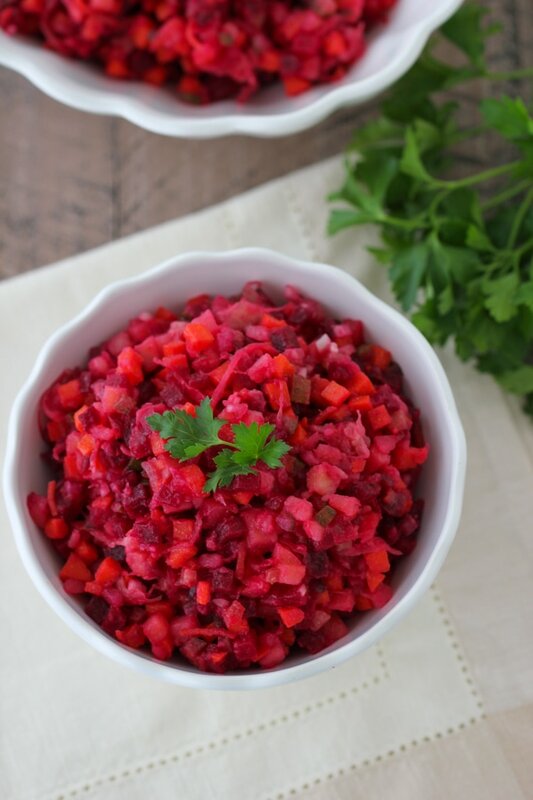 Vinegret is a classic Russian salad made with beets, potatoes, carrots, pickles and sauerkraut. 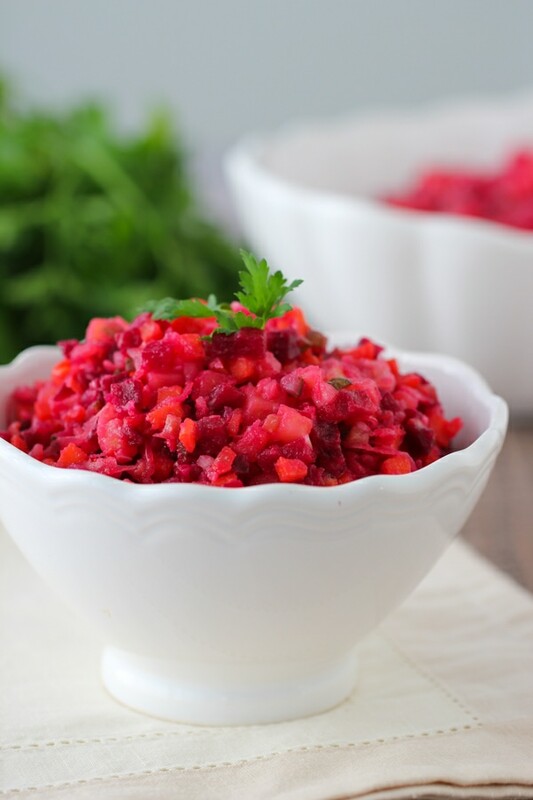 Its vibrantly ruby color makes it a beautiful side dish, it’s healthy, delicious and can be made in advance. 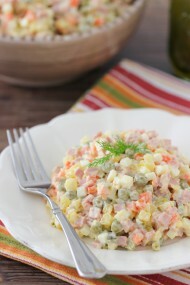 You know you’re Russian if you recognize this salad:). At most holidays, special occasions and parties, you will see a bowl of this vibrant salad make an appearance. Even though it’s called “Vinegret” in Russian, which sounds like a vinaigrette, it’s an actual salad, not the dressing:). When I look at the list of ingredients, it’s easy to see why it was so popular – it’s made up of all things that were readily available during the big holidays – Christmas, New Year’s and Easter for our ancestors. Back in the days of the Soviet Union, our parents and grandparents didn’t have anything available except what was in season or local, so they had to make do with whatever they had canned or brined during the summer and fall as well the vegetables that could be stored in the root cellar during the long, cold winter months. I still remember going down into my grandparents’ dark root cellar and seeing the cans neatly stacked on the shelves and the bins with beets, potatoes and carrots. The ingenuity of creating so many tasty dishes with such a limited pantry has always impressed me. I love this salad. 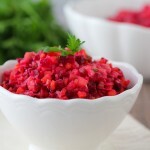 The beets and carrots give sweetness, the potatoes – heartiness and the pickles and sauerkraut give tartness and flavor. It’s beautiful and one of the best things about this salad is that it can be made in advance and even gets better the longer all the flavors get to hang out together. What are some of your favorite recipes from your heritage? 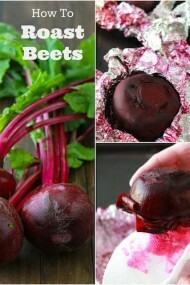 Cook the beets in boiling water or roast the beets until tender. I prefer to roast beets. 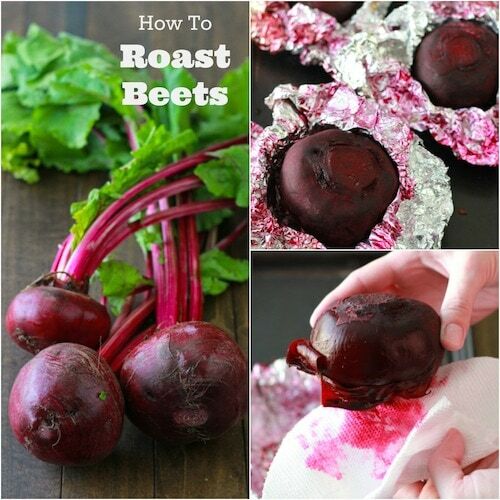 To see a step by step tutorial on how to roast beets, click HERE. In another pot, place the potatoes and carrots. Cover the vegetables with cold water. 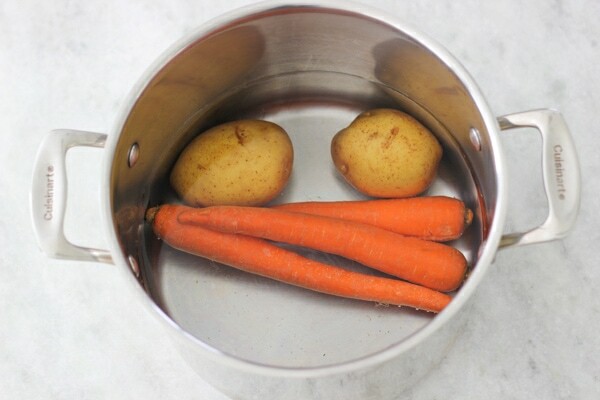 Cover the pot, bring the water to a boil, reduce the heat to a simmer and cook just until the carrots and potatoes are both cooked through and you are able to pierce them all the way through with a paring knife. (The cooking time depends on the size of your vegetables and how fast/slow the water comes to a boil, about 20 minutes after boiling.) You want to make sure that they are cooked through all the way, but not too much, since they will otherwise fall apart and turn to mush when mixed later on with the rest of the ingredients in the salad. Cool the beets, carrots and potatoes until cool enough to handle. 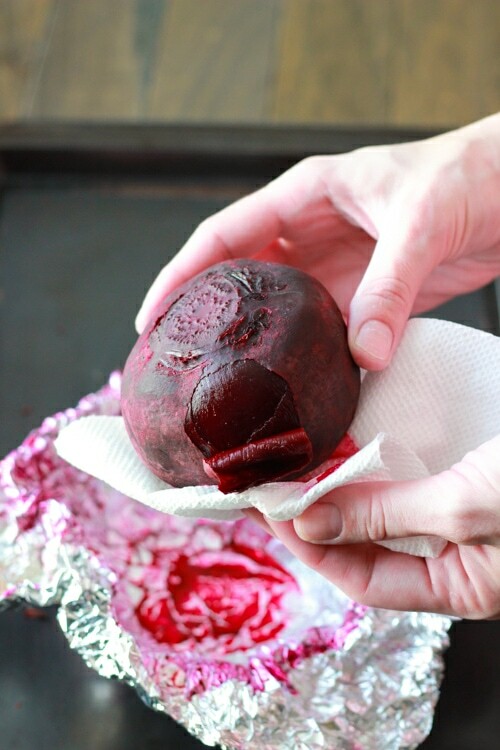 I use a paper towel to help remove the skin from the cooked beets (it works like a charm) and use a butter knife to peel off the skin from the carrots and potatoes. Chop the beets, carrots and potatoes finely, so they are about the same size. 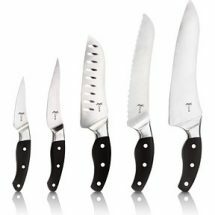 Of course, you can chop them larger than I did, if you prefer. 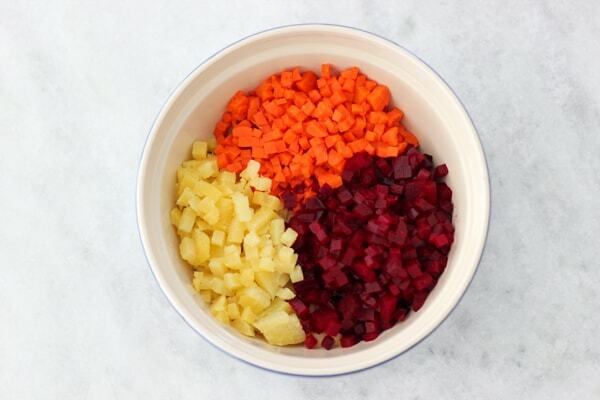 Chop the pickles to be approximately the same size as the beets, carrots and potatoes. Finely mince the shallot or onion, whichever you are using. Drain the sauerkraut. If the sauerkraut has really long pieces, you can chop them in half or thirds. You can adjust the amount of vegetables to your taste preference. 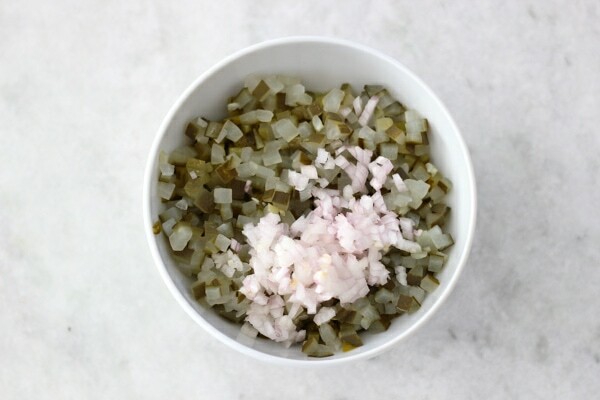 I like my vinegret to have a nice briny and tart flavor, so I add lots of pickles, sauerkraut and vinegar. In fact, I would add more of all of them, but try to restrict myself, since I’m not the only one eating this salad. 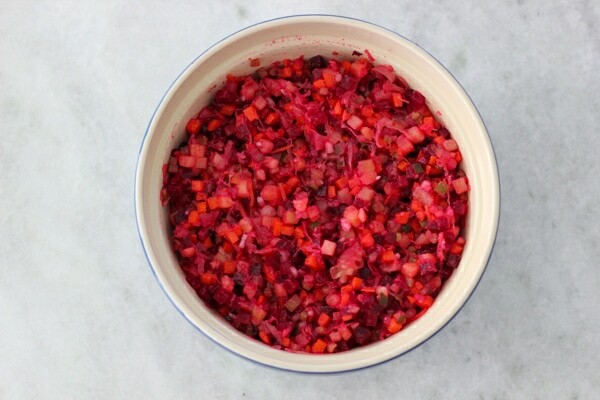 You can add more or less beets or potatoes, for example. It’s totally up to you. Store in the refrigerator. You can make this salad up to 3 days in advance. You can also add fresh herbs right before serving, such as dill, green onions or parsley. In another pot, place the potatoes and carrots. Cover the vegetables with cold water. Cover the pot, bring the water to a boil, reduce the heat to a simmer and cook just until the carrots and potatoes are both cooked through and you are able to pierce them all the way through with a paring knife. You want to make sure that they are cooked through all the way, but not too much, since they will otherwise fall apart and turn to mush when mixed later on with the rest of the ingredients in the salad. 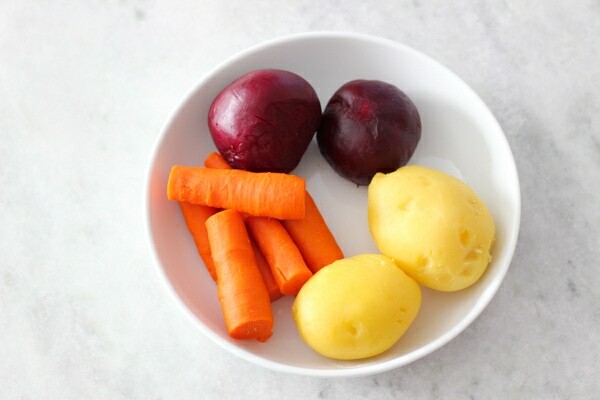 Chop the beets, carrots and potatoes finely, so that they are about the same size. Of course, you can chop them larger than I did if you prefer. 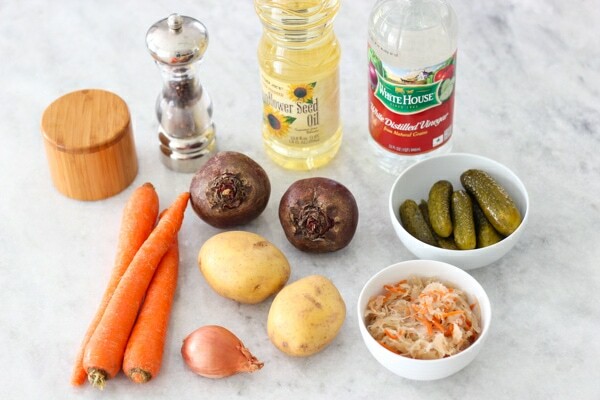 Mix all the vegetables, including the sauerkraut and pickles in a large bowl. Season to taste with salt and pepper. Pour in the sunflower oil and the vinegar. Mix to combine. Store in the refrigerator. You can make this salad up to 3 days in advance. You can also add fresh herbs right before serving, such as dill, green onions or parsley. Hey, a girl after my own heart:). I just love the briny and sour flavors. YES! Beans are great in Vinegret. I’m so happy to hear that, Natasha. Even though sometimes I like to add beans to Vinegret, I really prefer it without. I’m so glad that you enjoyed the salad. I also enjoy having a batch of it in the refrigerator. I am so happy that I discovered your site. I am Russian and I do make the recipes taught to me by my mom. Pierogi, halushka, stuffed cabbage, etc. However, you are introducing me to more. Thank You. Hi Betty Lou! Thank you for stopping by. 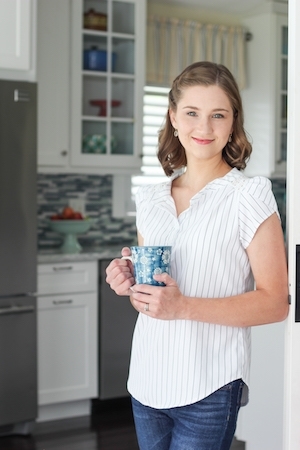 I hope you find many recipes to enjoy. I had leftover sauerkraut(plain, ole, cooked, not my favorite), so I made this. I used canned vegetables because I’m lazy, added some sweetener to taste, let it sit a couple of days in the fridge. Dang, this is good! It’s also very pretty. Great recipe. I’m German and wish my mom had come up with this one as we ate a lot of sauerkraut. Wil make again. Thanks. 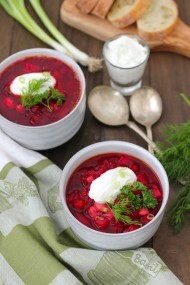 Hi Olga, I’ve just discovered your blog, while searching for beet salad recipes. This salad is amazing, wonderful, excellent! I just love it. 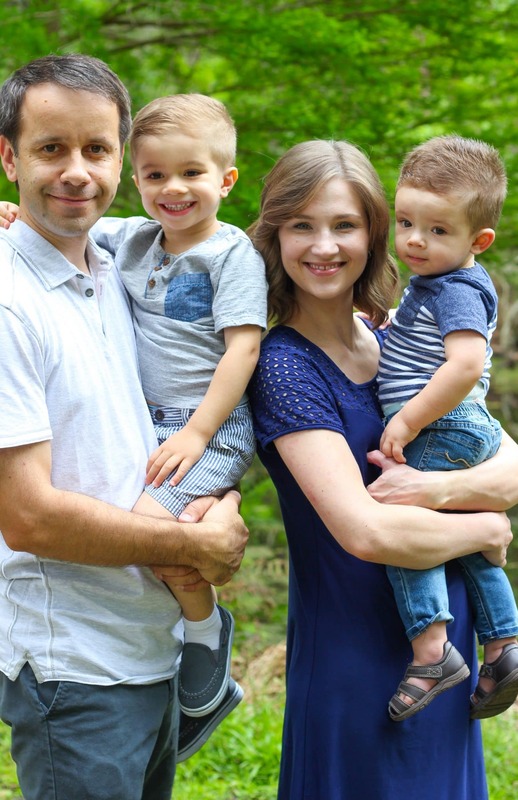 I am Polish, and very familiar with some dishes similar to Russian ones, but thanks to your blog I can find a lot of great recipes quite new to me, and so very tasty. Thank you! Sending my love from North Carolina. 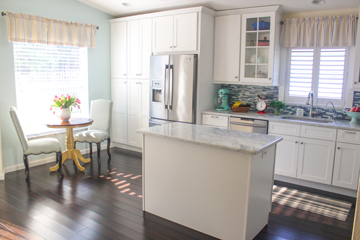 Thank you for sharing, Deisha:). Olga i was looking at this salad and see something missing there, today i was checking it again and discovered there’s no beans or peas is it your personal preference not to put it in recipe? I myself always use red beans for vinegret. Thanks for all your recipes, i love the way your Napoleon looks, not many people can make it! You’re amazing! We do put beans in there sometimes, but I personally prefer not to add beans or peas to this salad. Of course, you can add them if you like. Thank you so much for the kind words, Tatyana:). I really appreciate that you took the time to write.